There is something that the UK has over the USA: their chick lit offerings. Most good chick lit books get published there first and they have so many more offerings. My layover in London permitted some great purchases at WHSmith! These two books were not yet published in the USA which means that I did not have access in my Kindle yet, so I was excited to read them before I thought I would. blurb: When Gabby first met Elliott she knew he was the man for her. In twenty years of marriage she has never doubted her love for him – even when he refused to give her the one thing she still wants most of all. But now their two daughters are growing up Gabby feels that time and her youth are slipping away. For the first time in her life she is restless. And then she meets Matt . . . Intoxicated by the way this young, handsome and successful man makes her feel, Gabby is momentarily blind to what she stands to lose on this dangerous path. And in one reckless moment she destroys all that she holds dear. Consumed by regret, Gabby doe everything she can to repair the home she has broken. But are some betrayals too great to forgive? My thoughts: 3 out of 5. 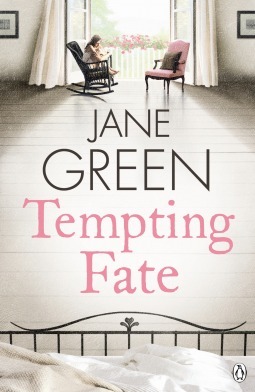 This is not one of Jane Green’s best works. At best its average. It is an entertaining story, yet absolutely predictable. you know whats going to happen. However the predictabilitydoes not necessarily have to be always bad. My biggest problem here is the relatability. Maybe it is because I am younger or have never been married but I just couldn’t relate to the main character Gabby. You never really understand her motivation which makes it really hard to go through with her in her actions. On the positive side it’s an easy read, I went through it in a day. thrown together late one night, when Christine is crossing the Halfpenny Bridge in Dublin. Adam is there, poised, threatening to jump. Adam is desperate – but Christine makes a crazy deal with him. His 35th birthday is looming and she bets him she can show him that life is worth living before then. Despite her determination, Christine knows what a dangerous promise she’s made. Against the ticking of the clock, the two of them embark on wild escapades, grand romantic gestures and some unlikely late-night outings. Slowly, Christine thinks Adam is starting to fall back in love with his life. But has she done enough to change his mind for good And is that all that’s starting to happen? 4 out of 5. I really enjoyed this book. Although absolutely predictable the road to the end game is wonderful. The layers of both characters were expertly peeled and little by little we were shown more, a little gratification before the end. 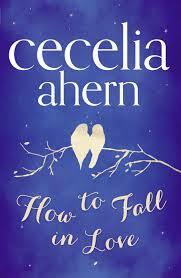 Additionally the book provides some great life lessons – so as far as chick lit goes I would definitely recommend it!